Close to bothering archipelago and city center. 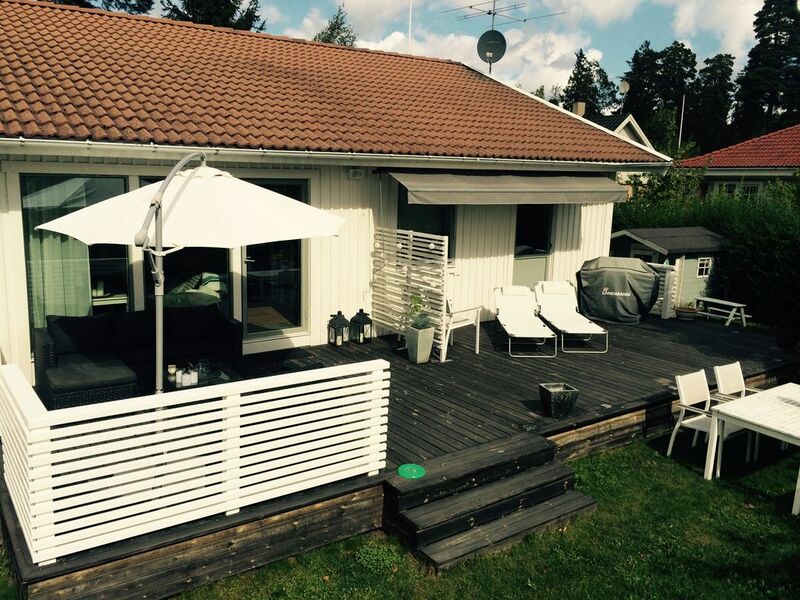 Comfortable, renovated villa in Nacka / Saltsjö-Boo. - Large well-equipped kitchen in center of house. - Extra living room / common area with TV, DVD. Large parking space for up to 5 cars. Perfect house for the family, no smoking. Quiet, relaxing villa area. Close to kidsfriendly Beach and ferries going out to archipelag. Comfortable distance to Stockholm City. Good parking space at house entrance. Nice small garden.